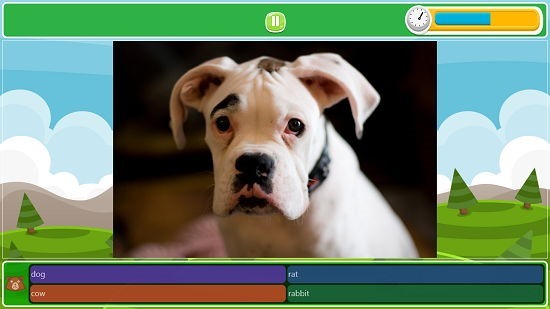 Knock Knock is a free game for Windows 8 and 8.1 devices in which you have to guess the animal shown on the screen. You can guess by clicking on the options displayed at the bottom of the screen under the image of the animal shown. 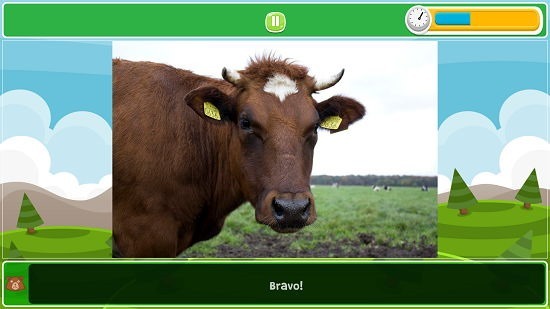 You will be able to start the game by clicking on the Play button at the center of the screen when you run the app, and as soon as you do so, you will be taken to the gameplay screen where you will be shown the picture of the animal which you have to guess. Soon, a sound that the animal makes will be played back on your device, and then you will be presented with the options in which one will be correct. Choosing the correct option will take you to the next animal. The game is time based and you can see the timer ticking away at the top right screen corner, and the game can also be paused at any point of time using the pause button at the top center of the screen. Knock Knock is available for free from the Windows App Store. When you install and run Knock Knock on your Windows 8 or 8.1 device, you will be presented with the below screen. Simply click on the PLAY button and you will be brought to the gameplay screen of the game which looks like the screenshot shown below. 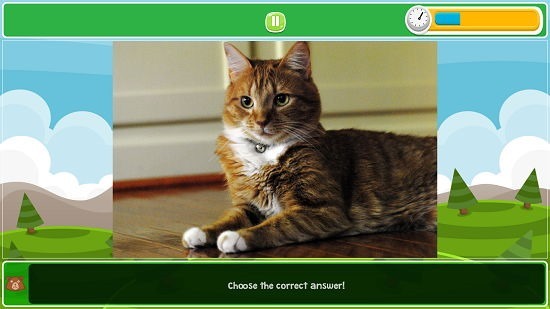 In the gameplay screen, you will be able to see the timer ticking away at the top right corner of the screen, and you will be shown the image of the animal at the center of the screen. A sound that the animal makes will be played back to you and the options will be listed to you at the bottom of the screen in the following manner. Upon choosing the correct option, you will be shown if you answered correctly, and you will be taken to the next question if you did! You can pause the game at any time by clicking on the pause button at the top center of the screen. This basically winds up the main features of Knock Knock for Windows 8 and 8.1 devices. 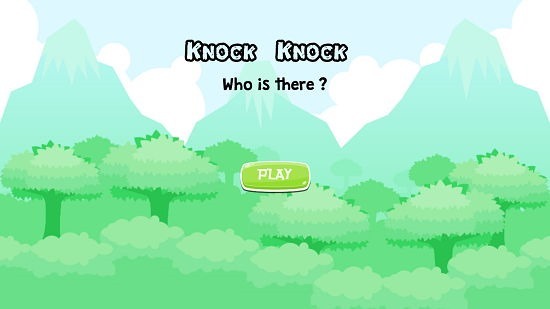 Knock Knock is a well-designed game app for Windows 8 and 8.1 which makes for a fun way to entertain your kids and make them learn the names of animals as well in a fun and interactive way. You can grab it for your device from the link below.